DAMMAM, May 15 2018 - The UAE has done impressive work to stay on track with the renewable energy targets and with phases 3 and 4 of the Dubai Solar Park to begin commissioning by the end of 2020, and is placed at the forefront of renewable energy development in the region, according to a research published by the Arab Petroleum Investments Corporation, APICORP, on the regional renewable energy sector. 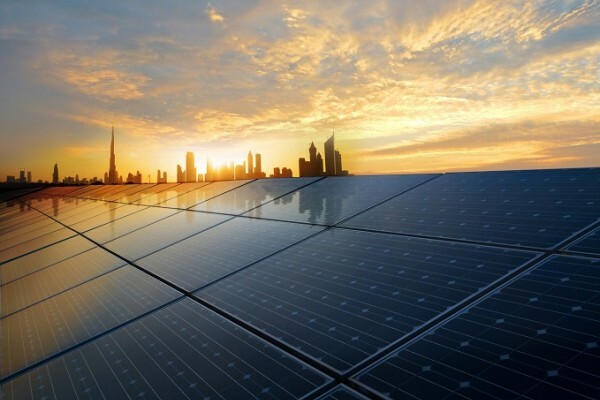 ”Other Emirates have also set up projects in effort to boost renewable energy targets like the Shams CSP in Abu Dhabi,” said the report titled ‘MENA Renewables Maintaining Momentum’. The report forecasts that the MENA region power capacity requirements are expected to increase at an annual rate of 6.4 percent until 2022. To support their renewable sectors, the main energy-importing countries have introduced several supporting mechanisms including competitive bidding, the introduction of feed in tariffs, FiTs, tax exemptions, and power-purchase agreements, PPA. On the other hand, energy-exporting countries – excluding the UAE – have done little to incorporate renewables, as they continue to rely on cheap-to-extract conventional resources to meet rising electricity demand. "The declining cost of renewable energy is a good sign, it shows that there is an appetite in the market for investors to support the initiatives in the region. Countries should leverage this opportunity to begin implementing policies to boost investment in the renewable energy sector." APICORP’s report also finds that the renewable energy drive in the region is led by the UAE, Morocco, and Jordan, as each of these countries have put measures in place to ensure the diversification of their energy sources are on track, with the help of European and international development organisations. The Moroccan government is on track with the plan as they put a target of 2GW of solar and wind power each by 2020. The country has made further impressive developments in its wind sector: five wind projects totalling 850MW have already been awarded, with record bids ranging from $25-30/MWh. As for solar, phase 1 of the Noor Concentrated Solar Power, CSP, project was commissioned in 2016, while Noor-2 and Noor-3 are expected to add a combined 350MW in 2018, which upon completion will become the largest CSP project in the world. Similarly, in Jordan we also see a surge in investment, with support from the international community. These include the Japanese led Kepco project, Korean led Fujeij wind project as well as the Al Rejef project by the European Bank for Reconstruction and Development and finally the Quweira project led jointly by firms from the UAE and Spain. With these projects the government is increasing the country’s energy target from 600MW to 1GW by 2020. Saudi Arabia has also kick started an ambitious renewable energy plan with the newly formed Ministry of Energy, Industry and Mineral Resources taking charge of the country’s promising renewable energy programme. With proper infrastructures put in place, it demonstrates the government’s commitment to achieving the renewable energy targets, and in turn attracting foreign investors. The first utility-scale solar project was recently awarded to ACWA Power. The 300MW Sakaka PV project – located in the Al-Jawf region – achieved a world-record price of US$0.02342/kWh and will operate under a long term PPA. As for wind, progress is also apparent, albeit at a slower pace than solar. The government has received four bids for the first wind project, expected to hold a capacity of 400MW in Al-Jawf region. APICORP also predicts a more positive outlook for Egypt as the country steps up to increase the solar and wind power production. Egypt’s main challenge is their low foreign reserves and an uncertain outlook for the pound. Although the research predicts that the outlook will improve especially as disputes no longer have to be settled in Egyptian courts. Financing remains the government’s biggest obstacle, but the growing commitment of international lenders such as the IFC and EBRD is helping attract much needed funds into the sector. Taking a broader look at the region, the falling cost of competitiveness will support the success of renewable energy plans; however, several other MENA countries are still struggling to make progress. Large oil and gas reserves and cheap extraction costs mean that hydrocarbons continue to meet rising demand in countries like Kuwait, Qatar and Algeria, and policy uncertainty and lack of an efficient and supportive regulatory framework are also contributing to slow progress.